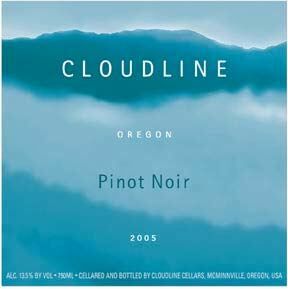 Cloudline is produced exclusively for importer Dreyfus-Ashby & Co., under the guidance of consulting winemaker, Veronique Drouhin-Boss (of Joseph Drouhin and Domaine Drouhin Oregon). The first vintage was 2002. This Pinot Noir is a negocient label, with grapes sourced from multiple vineyards within Oregon. Production is high (37,000 cases) and the wine is inexpensive ($20).